This week I’ve spent a lot of time reflecting on Ecclesiastes 11:1-6 as I prepare to preach this text Sunday morning at Westgate Church. As I reflected on tonight’s Vice Presidential debate, my heart was drawn to v. 5: “As you do not know the way the spirit comes to the bones in the womb of a woman with child, so you do not know the work of God who makes everything” (ESV). As he tries to navigate life’s uncertainties, the Preacher is wrestling here with the inscrutable ways that God works out his plan—something we can’t fully understand or control. To illustrate his point he draws our attention to human conception—the mysterious way that a human person is created in the womb, something we likewise cannot understand or control. I say person because that’s what the verse says—no mere bone and tissue, just another part of mom’s body; but spirit joined with bone in a body-soul person, created in the image of God. This is but one of several passages of Scripture that unambiguously affirm the personhood of a human fetus (cf. Ps. 139:13-16; Jer. 1:5; Lk. 1:41-45; Exod. 21:22-25). 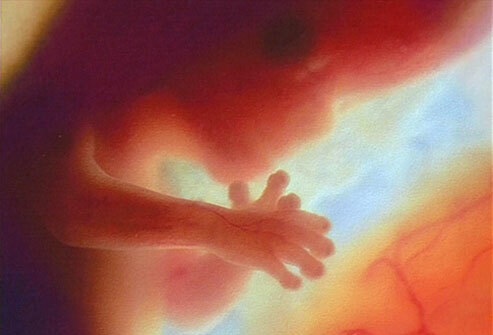 Life begins at conception. Now I won’t spend much time on this Sunday morning, because it’s not the central message of the passage. But I will share a few reflections here, both on the folly of abortion and the hope of the gospel. Abortion is inherently foolish. If wisdom in Scripture begins with the fear of God—that is, recognizing that God is God and we are not (cf. Prov. 9:10; Ps. 111:10; Job 28:28), then foolishness begins by disregarding God and his plan, his authority, his rightful rule. You cannot conclude that taking the life of an unborn child is permissible apart from a complete disregard for God. But this is precisely where the logic of abortion begins. We have exchanged God’s vision for creation and his value for humanity with our own vision—one that values personal ambition and convenience so greatly and so blindly that it thinks nothing of violently taking the life of another in order to secure whatever vision of life we’re pursuing. James 4:2 says it this way: “You desire and do not have, so you murder.” In nearly any other context we are rightly repulsed by such self-centered violence. But when the victim is too small and secret to fight back, we justify our actions by denying the personhood of the victim, we do everything we can to cover over our intense guilt and shame, and we presume that as long as we can manage the fallout here and now, there will be no one else to answer to in the end. This is, in the most critical and devastating sense of the term, foolish. A holy God will not stand for such wanton violence against his image-bearers, or such blatant rebellion against his throne. “For God will bring every deed into judgment, with every secret thing, whether good or evil” (Eccl. 12:14). Yet we must not think for a moment that such foolish sin is beyond hope or the reach of God’s grace. Christ shed his blood to cover the sin of those who shed the blood of others, whether that murder was committed with a handgun in a back alley or a needle in an abortion clinic. He died on the cross to take the full weight of our guilt and shame onto himself, to bear it in his body, offering full pardon and complete cleansing and forgiveness to all who will rest their faith fully in him. I want to say that again—in Jesus there is full cleansing and forgiveness, for women who have abortions, for boyfriends who pay for them, for parents who coerce their children into them, for doctors who perform them, and for self-righteous Christians who stand in judgment without lifting a helping hand. No act of rebellion is beyond the reach and healing of the cross. Abortion is folly. Christ became folly for us, that in a way that parallels the mystery of life’s conception, he might give us the new life by his Holy Spirit (see John 3:1-8). May God have mercy to rescue both the unborn, and those who war against them, that humanity might flourish according to his vision, and that he might receive the glory due his name.